Pricing your goods as a creative can seem like a daunting task. There is no guide to follow and rarely an industry standard pricing list. This can make it seem like some sort of alchemy calculation, especially when you are starting out. 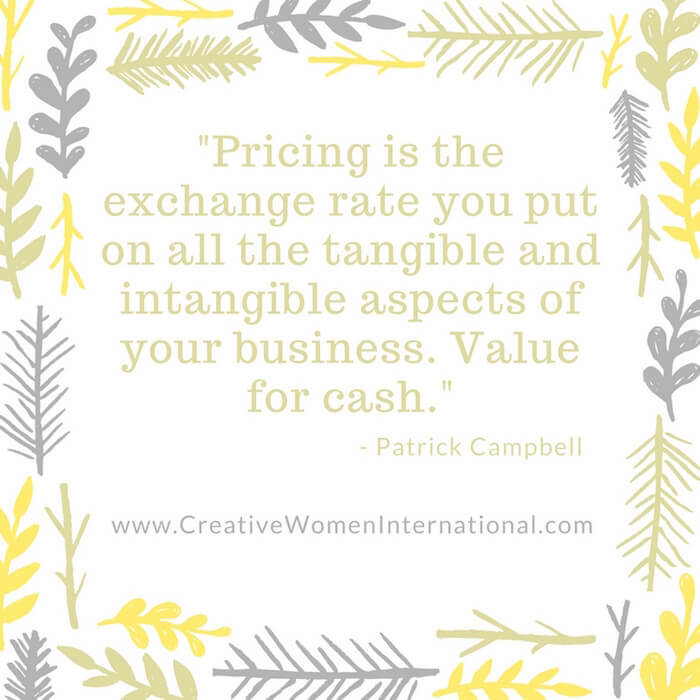 Pricing is one of the subjects I get asked the most about by CWI members, creative start-ups, and University students. It brings out the most amount of panic and anxiety. But it doesn’t have to be that way. This week’s podcast is all about how to work out what your worth is, and how that then affects your pricing structure. You can listen to it below. Once you have worked out your worth (that is what you as an individual needs to keep the lifestyle you already have- nothing to do with your work finance) you can start to look at all of the other elements that you need to think about when you price your goods and services. Pricing goods is slightly easier than pricing services- so let’s start here. You know that there is a fixed cost to making something. You know how much it cost in materials and in your time, but there are other things that you need to think about as well. If you make a piece of work in a studio you need to take in the costs of rent, heat etc as well. When you work out your hourly rate- does it make it feasible to sell that piece of work to the market you are currently talking to? Or do you need to look elsewhere? Making one of something will always be more expensive- is there a way to make multiples or have your work manufactured? If you are selling your work through galleries they often take 50%. Have you added that to your costs? Can you look at licensing your work to make more profit? This isn’t for everyone, but it might help when you are starting out and trying to build a name for yourself. Have you added aspirational value? Aspirational value is the alchemy element of your work. It is one of the hardest things to price for and it can take time to build it into your work. You’ll see plenty of artists raise their prices as they go along, rather than jumping straight into a high value piece. The key is to look at the people you admire and the kind of career you want to model yourself on. How have they priced their work over the years? Do they have their work for sale in limited places or have they licensed it for all sorts of things? This will make a difference to the value of the pieces. Pricing services is slightly harder to do. It isn’t as if you buy them off the shelf at the local store, but you can compare yourself to other service providers doing the same thing in your area. If you are running workshops it helps to look at what your competitors are charging. Remember to think about who they actually are though. Often councils or Government funded workshops and classes are heavily subsidised, so you need to think why having you as the training makes them more valuable. It might be that you have a wealth of experience, or fantastic contacts that you can share. Or that you have been on the same journey as the people you are teaching, so you understand how they are feeling. Or you are so specialist at what you do, they can’t find it anywhere else. All of this adds value. Your travel time and mileage to and from the venue. The cost of hiring the space, or if it is at your studio- remember to add the cost of rent, heating etc for that period of time. Preparation time- this is one that most people forget to add, but it is part of the cost as you are still working when you are preparing. Post time- as above, you might have to sort things out after the event. All of that time and work counts towards the cost of the workshop. Any materials that you will use or even just photocopies of worksheets. 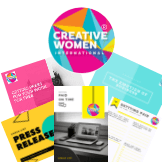 Press and marketing materials- even you posting on social media is your time! There are many other things that you might now realise you need to add to the cost. You need to think of everything that you use or need, to create and complete the workshops. Your time before, during and after, counts towards it as well. Pricing is something that you need to test and review. It might mean that the market you were hoping to enter is now unable to afford your goods and services, so your entire customer base changes. This will then affect your marketing, branding etc. At the end of the podcast I share ways that you can find out how to price your goods and services when you have no idea where to start. Let me know in the comments below what you find so hard about pricing your goods and services.